Discover how to develop airtight pitching mechanics, avoid elbow and shoulder injuries, and keep your pitchers happy, healthy, and productive for years to come! Did you know -- according to the American Journal of Sports Medicine --that nearly 49% of youth baseball pitchers will suffer an elbow or shoulder injury this season? Some are lucky to get off with a few days of rest and ice… but more and more kids are now suffering from chronic shoulder pain… fractures and tears in the elbow cartilage… and even traumatic arm injuries that can end a baseball player's career. At the high school level, it's even worse. Doctors are now performing five times more "Tommy John" elbow surgeries than they were just a decade ago! That's not something you can figure out just by watching MLB games on TV… or browsing around on the Internet… or chatting with your brother-in-law (who used to pitch in high school). You need reliable expertise and guidance… the kind of instruction you can only get from an experienced professional. 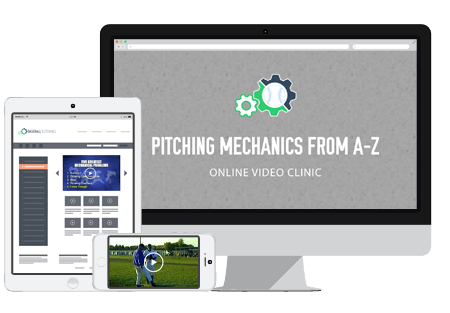 That's why I'm so excited to tell you about this new online video clinic called "Pitching Mechanics From A-Z." Your expert instructor is Scott Berry, head baseball coach at Mayville State University, NAIA Hall of Famer, and one of the winningest coaches in college baseball history. In 27 years, he's racked up an astonishing 20 conference championships, with an all-time record of 770-442. Inside this online clinic, Coach Berry reveals his complete step by step system for installing airtight pitching mechanics for any youth or high school player. You'll learn exactly how to develop and reinforce a safe, efficient pitching motion, and keep your pitchers happy, healthy and productive for years to come! You'll love the feeling of transforming your pitcher into a finely tuned athlete with picture perfect mechanics. Coaches, parents, even other players will marvel at how fluid and professional your pitchers look on the mound. And you'll be blown away with how much better your team plays. The final results are astonishing. Healthier, more productive, more effective pitchers. Fewer runs allowed. And more wins for your squad. The 2 most important keys to developing safe, effective pitching mechanics. How to stop your pitcher from rushing his approach and delivery. This mistake is EXTREMELY common (most pitchers don't even realize they're doing it)… but it's brain-dead simple to correct! A brutal "Wrapping" mistake which over-rotates the torso, pulling the pitcher out of alignment and over-stressing the hip and knee joints. Why most pitching instructors are DEAD WRONG about "throwing overhand" … and how it actually jeopardizes the health of your pitching arm. This one seems hard to believe at first, but you'll be nodding your head in agreement once you hear Coach Berry's explanation! One tiny alignment tweak that will immediately fix the majority of your horizontal control problems. How to break down your pitcher's mechanics using a clever little "Sequence" drill. This one's great for identifying and fixing any kinks in his delivery. A unique "Toe Tap" drill that immediately develops better timing and rhythm. It actually forces your pitcher to be more deliberate through the balance phase, get his hands separated, then drive forward under control… for a blazing fastball and pinpoint command! The "2x6 Board" drill that reinforces proper alignment through the entire pitching motion. The Wall Drill: Gives your pitchers instant feedback when they "wrap" the throwing arm… so they can identify and fix this problem for themselves! "Uphill Throwing" drill: this is the #1 key to getting better extension on the release. How to help your pitchers develop a rock-solid foundation with "Stride Leg Squats." This is the best functional exercise I've seen for lower body pitching strength… and you'll be amazed at how quickly it improves your pitcher's power and accuracy! Yes! I want the Pitching Mechanics from A-Z Online Video Clinic. 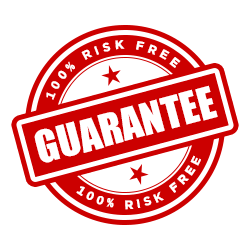 Give me instant access to this step by step training system right now! This online clinic is designed for kids age 10 and up, and recommended for players at all competitive levels. You'll get detailed instructions for teaching pitching mechanics from the ground up. Plus, tips on how to spot and correct common mistakes. And drills to reinforce the proper pitching motion. So whether you're teaching a kid to pitch from scratch, or working with an advanced athlete, you'll find plenty of tips and strategies to help. This online clinic includes drills and techniques that can be done individually, with a partner, or with small group of players. So it’s great for coaches to use during team practice… OR for parents or athletes who want to work on their skills at home. Hurry... Get Pitching Mechanics From A-Z Now! ... all for just $19. Click the Add to Cart button now for INSTANT ACCESS!